Ronald Derr, age 70, of Benedict, passed away Tuesday, March 26, 2019, at Bryan/LGH East Medical Center in Lincoln. A Graveside Memorial Service will be held 11:30 A.M., Saturday, March 30th at the Aurora Cemetery. Rev. Michelle Kanzaki will officiate. No Visitation. Memorials may be made to the family to designate at a later date. Condolences may be e-mailed to the family through the mortuary website at www.higbymortuary.com. 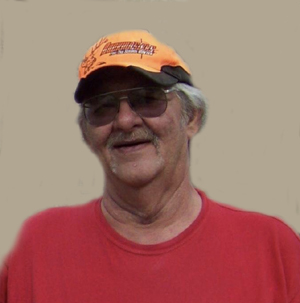 Ronald Reid Derr, the son of Eugene Marion and Rose Marie (Batorski) Derr, was born at Aurora, Nebraska on February 22, 1949 and passed away in Lincoln, Nebraska on March 26, 2019, at the age of 70. He spent his early years in Aurora and when the family moved to Broken Bow, Ron graduated from Broken Bow High School in 1968. Ron enlisted in the U.S. Army and served during the Vietnam Era. He was honorably discharged on October 4, 1971. On April 8, 1973, he was united in marriage to Karen Sue Anderson. They had two children: Andrew and Anna. Ron spent his career as an over the road truck driver. He worked for G.I. Contract Carriers and G.I. Express located in Grand Island and Crete Carrier, located outside Lincoln. Ron enjoyed working in the yard, fishing, and talking with neighbors. He was preceded in death by his parents and mother of his children. Those left to cherish his memory are his two children, Andrew (Kim) Derr of Friend and Anna (Gabe) Sedersten of Sutton; 6 grandchildren, Breauna, Nathaniel, Riley, Kaylee, Elizabeth and Sophia; 3 brothers, Dennis (Glenna) Derr , Terry (Kim) Derr and David (Heather) Derr; two sisters, Patty (Dwight) Daugherty and Kathy Patterson and other relatives and friends.